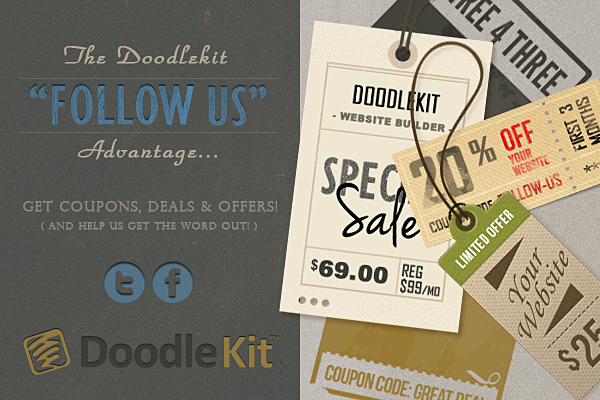 Follow Doodlekit For Coupons, Deals And Special Offers! Hello everyone! This is a friendly request asking for your support by 'following' us on Twitter and 'liking' us on Facebook. To help promote this we will be offering coupons, deals and special offers to our followers. Followers will also receive the latest news, tips and stories on all things Doodlekit. Interestingly enough I have yet to see some offers. I am waiting in anticipation of getting a new site.